We have tons of “mockup” style images in the Styled Stock Society library – from iPhone screens, to iPad screens, to laptop screens, to desktop computer screens, to plain stationery / mugs / and more – but if you’re not a design expert, you may have wondered how the heck do you add your screenshots / designs to our mockup images?!? 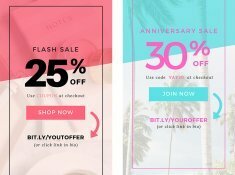 The video tutorial above walks you through how to add screenshots to our mockup style images using Canva (it’s free!) 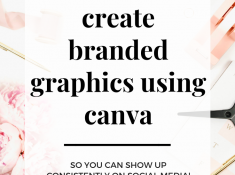 so you can create beautiful graphics to show off your work. If you’re using a screenshot you can literally take a screenshot on whatever device you’re using to create the mockup graphic OR use this free tool to create see what a website would look like on any tech device – this is particularly helpful if you don’t own a particular device like an iPad, but you want to showcase your website or download on an iPad graphic! 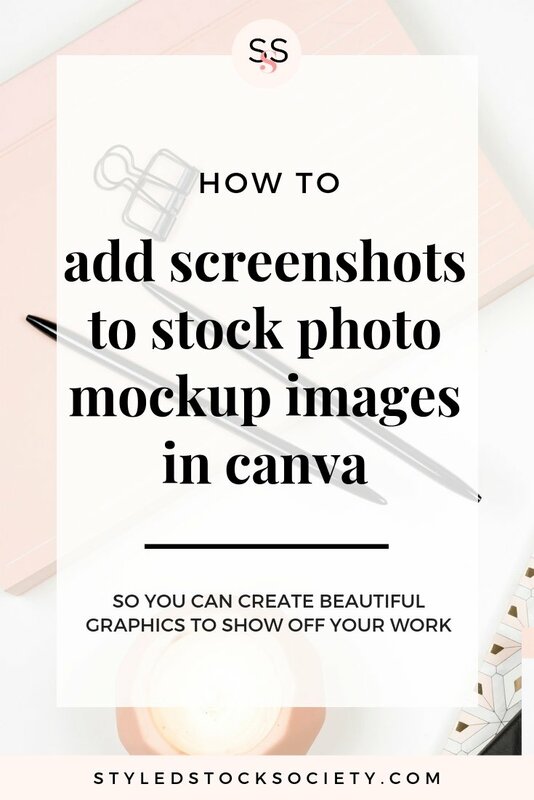 Once you’ve uploaded the screenshot and added it to the stock photo in Canva, you’ll most likely have to resize the screenshot to make it fit the screen perfectly. You may also need to rotate the screenshot if the tech device is at an angle like in example stock photo in the tutorial above. This part takes a bit of trial + error but you should get the screenshot within the screen without too much effort. 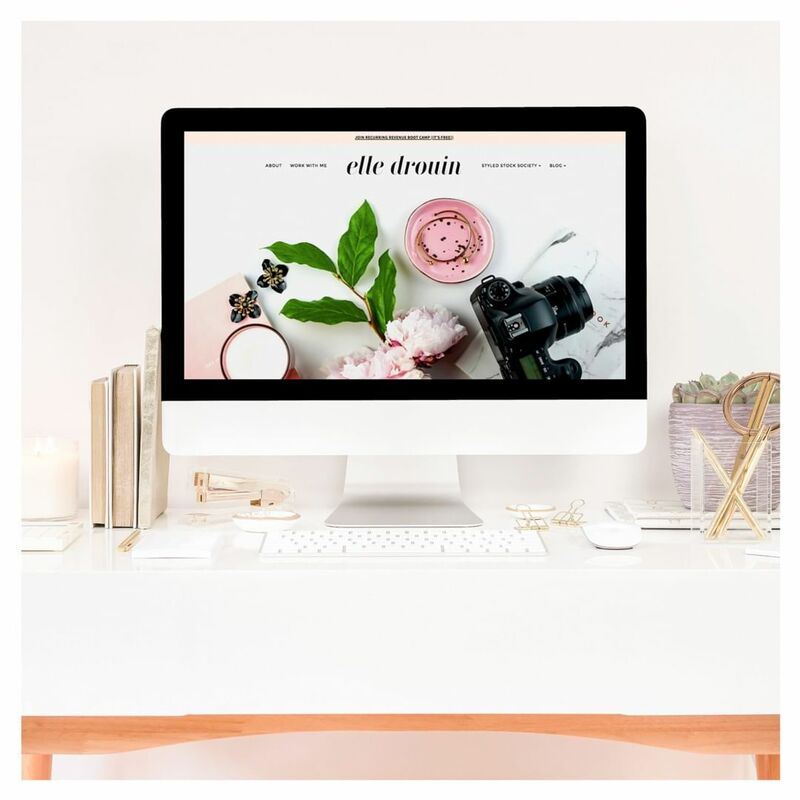 Using our stock photos to create mockup graphics is a great way to show off your website, but you can also use them to show off content upgrades, books, pdfs, images, designs, or pretty much anything that you might find on a screen! 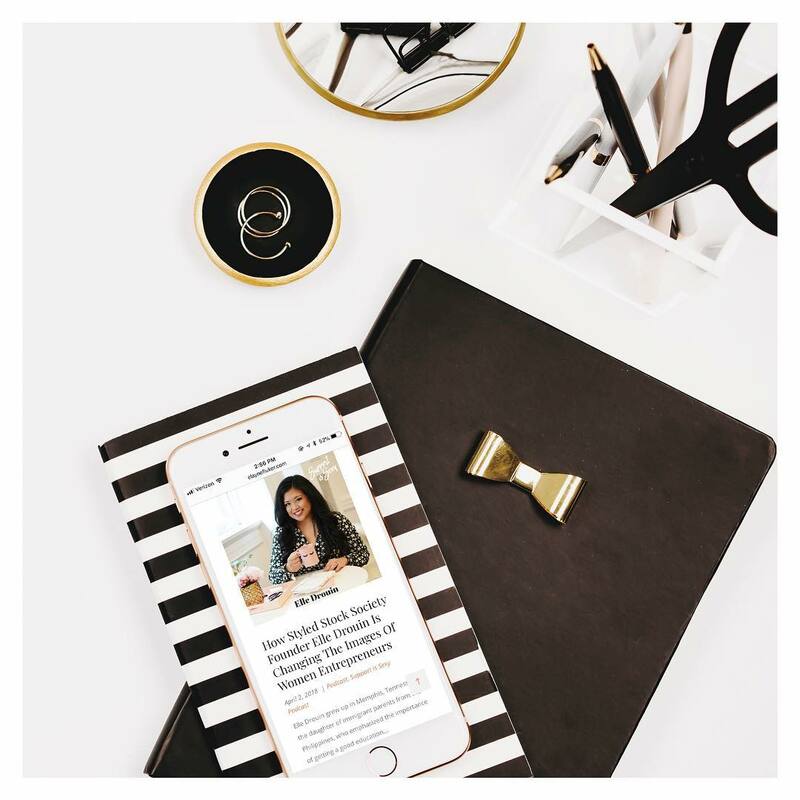 In the first example, I used an iPhone mockup to share a podcast feature on my Instagram account. In the second example, I used a desktop computer mockup to showoff my website. 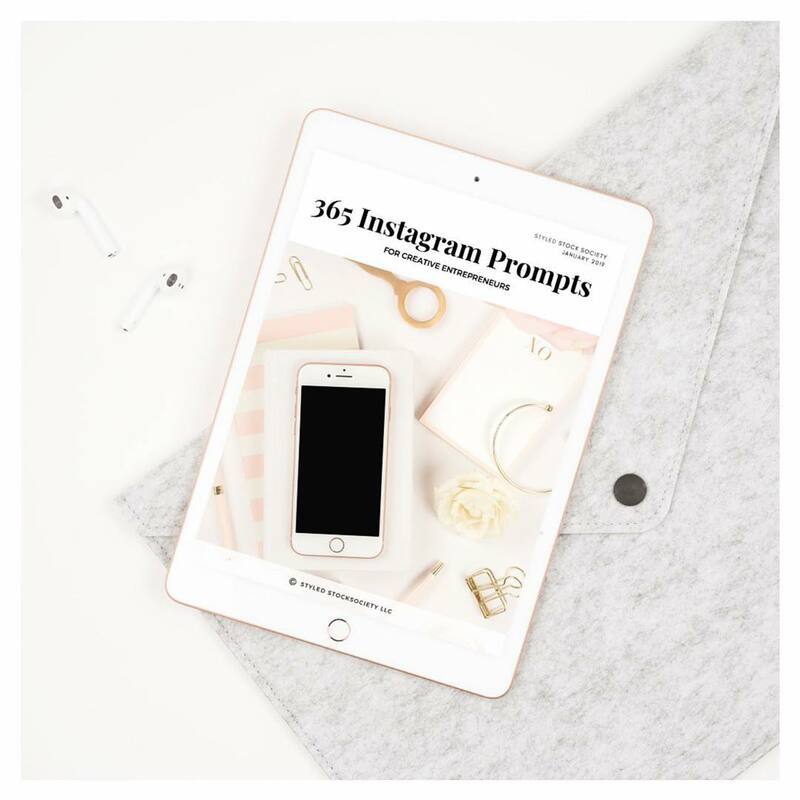 And in the last example, I used an iPad mockup to display the 365 Instagram prompts resource that’s included in our member library. Hopefully the tutorial and tips will make it easier for you to create your own mockup graphics now – and all of the stock photos in the these examples are available in the membership!